Hello, and welcome to my website, ‘Visiting the Fallen’. The idea behind it is to create a space where I can expand on some of the stories featured in my books and talk about some of the many issues I was only able to touch on in the text. Although my books on Arras run to three volumes, there’s still a lot more I want to cover. If you like, think of it as the fourth ‘unwritten’ book in the series, or as a collection of ‘out-takes’ and ‘extras’ that complement the main body of work. I’ll be updating the site on a regular basis, hopefully adding to the experience and enjoyment of those who are already familiar with my books. It will also enable me to engage with my readers, which is something I regard as an important aspect of authorship. I hope people find the site informative and, above all, interesting. All the articles featured on the website will be archived for future reference. 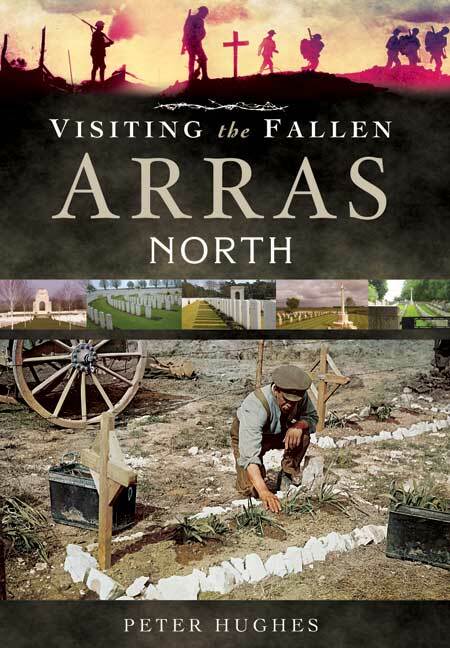 Initially, I want to focus on ‘Arras North’, but as time draws closer towards the publication of ‘Arras South’ and ‘Arras Memorials’ I’ll be featuring some of the ‘stories behind the stories’ in those two volumes. After that, I’ll be adding material relating to all three books.